This world cup would be the one where Italian side would triumph and lift the world cup trophy for the 4th time in the world cup history. It is important to mention that World Cup 2006 champions Italy came to this World Cup with a rock solid defense built around the world class goalkeeper Gianluigi Buffon and one of the best defenders in the world, Fabio Cannavaro. With this defense Italy conceded only two goals, one of them an own goal and the other from the penalty spot. Italian midfield worked flawlessly during the 2006 Fifa World Cup with the great playmaker Andrea Pirlo making smooth and calm precision passes for goal scoring opportunities and Gennaro Gattuso being the engine of the midfield cutting passes and causing problems for every teams offense. Gianluca Zambrotta and Fabio Grosso showed the whole world how full backs should play this game by pushing up the field and creating extra players on many occasions which led to goals, than sprinting back and defending their goal. It was some of the best Right and Left Back displays seen in a long time during this competition. As a matter of fact it was Fabio Grosso scoring a goal in the closing minutes against Germany during the semi finals to force the game into Penalty Shootout where Grosso again scored the decisive penalty to seal the victory for the Italian side. This would also be the first time where Italian side would triumph after the penalties, unlike the three penalty shootouts during the previous world cups, including the famous Roberto Baggio penalty miss during the 1994 World Cup final loss to Brazil. Italy also used 21 of their 23 man squad, with 10 of them finding the net during this 2006 Football World cup which made it obvious that Italy owed its success to no one or two players in particular but complete squad TEAMWORK. 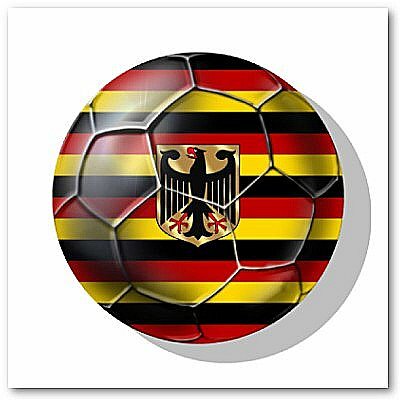 Germans, led by Jurgen Klinsmann and playing some of the most attacking, hi tempo and attractive soccer of the tournament won fans around the world and took the 3th place of the tournament. It was great success for Germans as their squad was one of the youngest in this tournament with many young players eager to show off their skills. Important fact to mention is that Germany scored most goals during the tournament, 14 in total with five of them from Adidas Golden Shoe winner Miroslav Klose and three from Lukas Podolski, Gillette Best Young Player. This great event was followed by more than 3.5 million spectators attending matches in the 12 breath taking stadiums as well as 30 billion people in every language around the world. It was a sign that Fifa World Cup is reaching its peak and is followed by every nationality in the world. It was also a historic retirement for great Zinedine Zidane who came back in top form and helped French side advance through Spain and Brazil en route to the final match in Berlin where soccer tragedy of the French followed. Zinedine Zidane found the net with one of the greatest penalties taken during a final against Italy, giving France the lead of 1:0, Italy scored to force the game into overtime. However there was no happy ending for Zinedine Zidane as he left the field for the last time in what was a most dramatic retirement from international football/soccer in the history of world cup or any other competition. As the game went on and tempers heated up during the extra time, Zinedine Zidane would make his exit from the world of football/soccer with a red card just few minutes before the end of the game. It was a famous Zinedine Zidane headbutt into Materazzi's chest after Marco Materazzi provoked Zidane by saying something about Zizou family that made Zidane do something nobody expected to see. Zinedine Zidane walked off the field for the last time in his professional career and France lost this match after penalty shootout. Zinedine Zidane still won the Golden Ball as the best player of the tournament and retired after this 2006 World Cup. Cristiano Ronaldo also took the headlines as he led Portugal to the semi final, which was great success considering the fact that Portugal's last semi final was back in 1966 world cup. Brazil and England were the biggest disappointment of the tournament. Both Countries had star players that just couldn't find a way to work together and the superstar teams would pretty much beat themselves with individual play and no teamwork. Angola, Côte d'Ivoire, Ghana, Togo, Tunisia, Australia, Iran, Japan, Korea Republic, Saudi Arabia, Croatia, Czech Republic, England, France, Germany, Italy, Netherlands, Poland, Portugal, Serbia and Montenegro, Spain, Sweden, Switzerland, Ukraine, Costa Rica, Mexico, Trinidad and Tobago, USA, Argentina, Brazil, Ecuador and Paraguay.